An ancient art revisited. 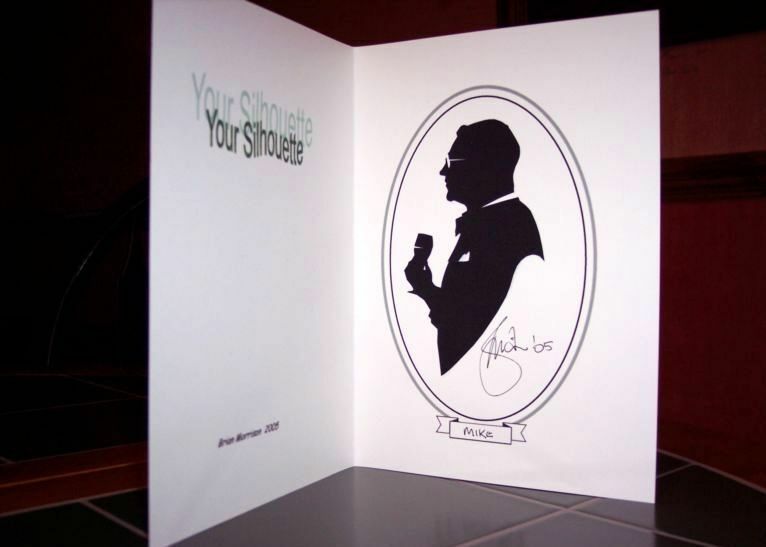 What you receive from a Silhouette cutting artist is a mounted profile portrait of yourself, cut directly from black art paper in minutes. The artist then fixes the finished silhouette on to a ready prepared mount. All functions can be catered for. The artist can roam from table to table during dinner; mingle with guests at champagne receptions, or take a seat and invite guests to pose for their portrait. This is an excellent ice-breaker. A talking point that's sure to keep everyone amused for hours. 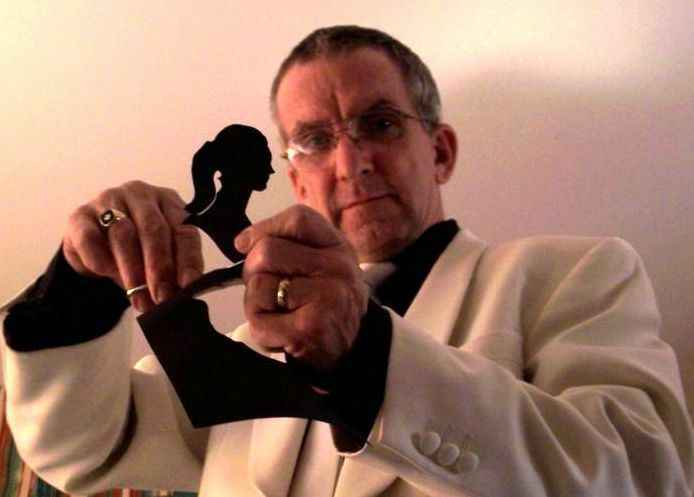 Probably, the most important entertainment value of hiring a of Silhouette cutting artist, is the fact that the guest takes home, a lovely, unique souvenir of the event. The mount is similar to a greeting card, with the Silhouette fixed to the right hand side. A personalised message can be pre-printed on the opposite side. This could be the bride & grooms name and date of their wedding, if it's that type of function. It could also display a company logo, or general information about the event. Silhouette art has been around for centuries. It was very prominent in Greek & Roman times. Much later around the 17th and 18th century, paper cutting silhouettes became very popular in Western Europe. Many profiles of leading figures, poets & artists of the day were captured this way.